Debts in the energy sector are currently at 2.4 billion dollars, as the Finance Ministry announces plans to raise a bond to settle the debt. 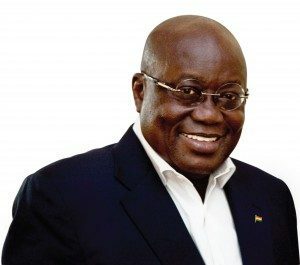 Speaking at the World Development Forum in Accra today, President Akufo-Addo disclosed that a comprehensive plan has been drawn to make the sector efficient to attract private investors. “My government has moved quickly to address the energy supply constraints by tackling the financial challenges of the sector as well as define a policy framework that will encourage private sector investment. We will very soon issue a 2.5 billion dollars energy sector bond to retire the legacy debt in the energy sector and create space for increase investment in the sector,” he said. Touching on the ECG Private Sector Participation with the Millennium Challenge Corporation (MCC), President Akufo-Addo was optimistic the compact will provide an opportunity for private sector participation in the ECG to make it efficient. “We have encouraged majority Ghanaian private sector participation in the Electricity Company of Ghana under the Millennium Challenge Account Compact with the United States government,” he said adding that the Ghanaian private investors will control the majority share. President Akufo-Addo reiterated that government will now pursue renewable energy to create clean source of power in the country. This follows a directive from the Ministry of Energy to cancel agreements with some Independent Power Producers with Ghana.